Gliders were mainly made of wood in the 1950s. They were therefore poorly visible on radar screens. It often occurred that such gliders were too close to civil and military airports because they were not detected on radar displays in time. In addition, two-way radio communication with gliders was not yet possible. 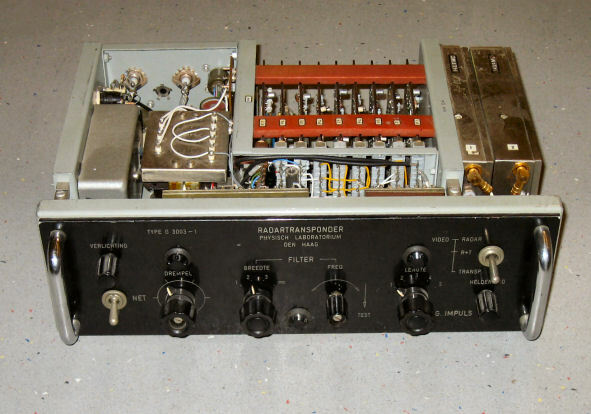 In the period 1959 – 1964, a glider aviator/radio amateur employed by RVO-TNO, The Hague, developed both a VHF radio communication unit and an experimental radar transponder for use in gliders to tackle these problems. A transponder is a system that ensures that small objects are still visible on radar displays. Normally, due to the limited radar reflectivity of small objects, these objects will hardly be visible on a radar display. 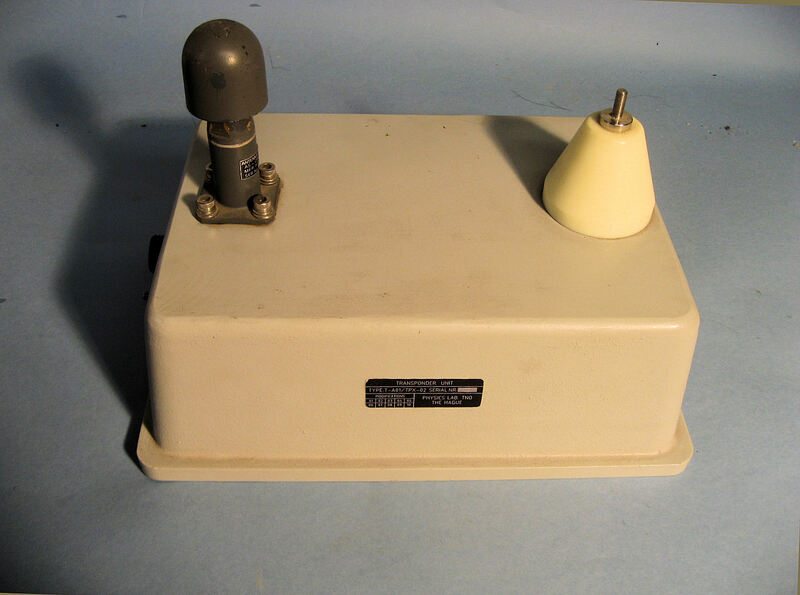 A transponder detects the radiation of the object by a radar system and in response to this transmits a pulse signal back to a different frequency. In the radar system, this pulse is received, processed and added as a marker to the radar video signal. 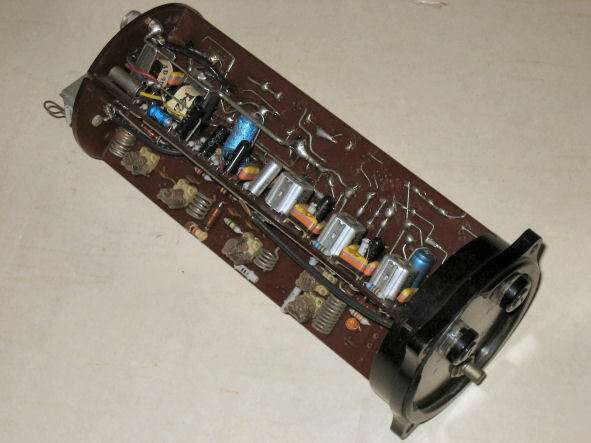 In 1959, a lightweight VHF transmitter/receiver built in cylindrical form (diameter 8.4 x 22 cm, weight 700 grams, antenna power 1.5 W) on board of the glider at 1000 meters altitude enabled reliable radio communication over a distance of at least 100 kilometres. 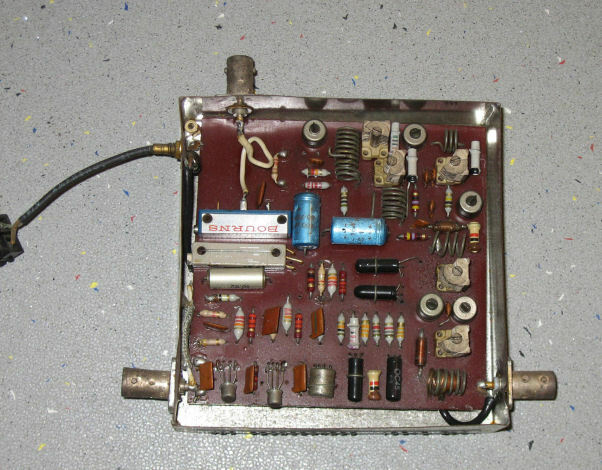 The same type of transceiver was used as a ground station and was equipped with a 0.5 Lambda vertical dipole at a height of about three meters above the ground. In 1961, a request to TNO was received from the Royal Netherlands Air Force to improve the radar observability of gliders and to investigate the possibility of communicating with such types of aircraft by radio air traffic control. Extensive tests with a glider flying at 1000 meters altitude and equipped with a developed ‘all transistor’ lightweight transponder (size 11 x 11 x 3 cm, weight 200 grams, absorbed capacity in operation 360 mW, impulse peak output power 180 mW) showed that a reliable radar distance range of 75 km could be achieved when using an MPN11 10 cm radar on the ground. In these tests, the transponder “responded” to a frequency of 143.9 MHz. The good results with radar transponders for gliders had not gone unnoticed to the Royal Netherlands Navy. In 1964, Hr.Ms. Snellius had to make depth measurements of the seabed in the context of the North Atlantic Vidal and Dalrymple Oceanography (NAVADO) project. The NAVADO project was designed at the beginning of the sixties by the British Admiralty Underwater Weapons Establishment with the main aim of conducting research into environmental conditions under which submarine detection had to take place. For the survey, a depth charge had to be thrown overboard from a dinghy at a fairly large distance from the Snellius (about 10 nautical miles). The dinghy would not be visible on the radar at that distance from the ship due to a very weak radar reflection and sea clutter. At the request of the Royal Netherlands Navy, the experimental radar transponder for gliders, embedded in a watertight housing for sloop use, was loaned to the Hr.Mr. Snellius. The responder system performed beyond expectations, nevertheless no further development took place. Only when problems came to the fore with the visibility of the WASP helicopter on the Van Speyk class frigates’ radar screens, the transponder design was discussed again in 1966. For the Navy, it was necessary to know the exact position of the helicopter. Aside from the safety of the helicopter crew, the information is crucial when the helicopter is deployed against submarines. The low helicopter altitude of flying and sea clutter made tracking of the helicopter problematic. The choice for the Navy was then between a standard transponder (heavyweight and high power consumption) and the ‘Snellius’ transponder to be developed by TNO in a light and energy-efficient helicopter design. If the TNO transponder was chosen, a heating system for the pilots could also be installed in the helicopter. The choice was made for the TNO transponder. The system was baptised VESTA (VESTA is in mythology the name of the divine symbol of the domestic hearth). In 1969, the first Van Speyk frigate with a VESTA transponder became operational. The VESTA system consisted of a helicopter part and a ship’s part. Receiving antennas were placed on board the helicopter for receiving the radar signals, a transponder for detecting these signals and generating a strong VHF transmit pulse, a transmitting antenna and an operating unit. The pilot had the possibility to set the sensitivity of the transponder. The ship’s part consisted of two receiving antennas and a VHF radio receiver for receiving the signals transmitted by the transponders. These receiving antennas were placed on both sides of the ship in order to guarantee the best possible signal reception. The VESTA receiver was placed in the command centre and the interface with the radar systems was installed near the radar equipment. Received VHF pulses were projected onto the radar display. The echoes of more transponders could be displayed on the radar display by means of a synthetic presentation. In the period 1970 – 1972, 25 VESTA systems were delivered to the Royal Netherlands Navy. These VESTAs were built by ENRAF-NONIUS, Delft. VESTA receiver: the response sent to a helicopter in the VHF band is processed and decoded by the VHF receiver on board of the ship. The result is made visible on the ship’s radar display. 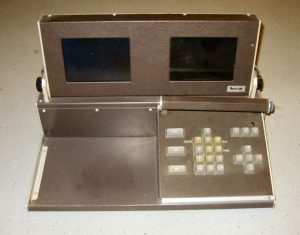 In connection with the radiation characteristics on board, two receiver systems were used. In 1974, prior to the introduction of the LYNX helicopter, the transponder system was fully modernised and provided with a code option allowing a maximum of five helicopters to be distinguished from each other. 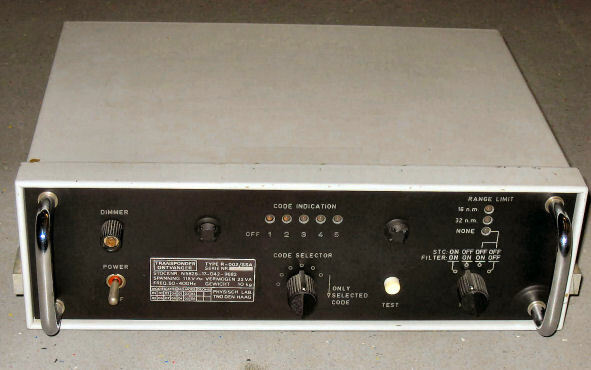 In 1974, the VESTA system was equipped with transponders that allowed the selection of one out of five VHF response codes to distinguish five different helicopters on the radar display. Each received signal started the answering cycle. A response was generated and -if a response code was selected- encoded by the transponder and transmitted via a third antenna. The transponder response was received by two antenna amplifiers, usually placed in the ship’s mast. 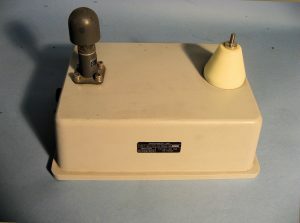 From there the signal went via long cables to the transponder receiver which contained a digital filter and a decoder. Only transmitted signals belonging to a transponder target (helicopter with VESTA) could pass the digital filter. All other signals are suppressed. This included the comparison of the time relationship between the radar pulse and a received transponder response using a shift register. The production of the second series of VESTA systems in 1975 also took place at TNO in The Hague. Due to the high-quality requirements set by the Navy for equipment to be supplied, special arrangements had to be made for the production facilities and measuring equipment. The VESTA system was a great success to the Royal Netherlands Navy. Over the years, all helicopters were equipped with a VESTA transponder. At all Dutch frigates, a VESTA receiver belonged to the standard equipment. In the meantime, the German Navy became also interested in the VESTA system. The VESTA systems for the German Navy were originally made by TNO in The Hague and delivered via the company Hollandse Signaalapparaten to the Germans for integration into their F122 frigates. On 3 June 1979, Hollandse Signaalapparaten received exclusive rights to the VESTA system. In 1984, TNO developed a VESTA simulator for training at the Royal Navy Operational School. In 1985, a start was made to apply VESTA mutually between the Lynx helicopters. In 2012, the Lynx helicopters were taken out of service and replaced by the NH90. As a result, VESTA was abolished by the Dutch Navy after having served for 42 years. For certain, Hollandse Signaalapparaten delivered VESTA systems to dozens of navies around the world at least until 2012. For artillery exercises and in the evaluation of weapon systems, the Royal Netherlands Army already used unmanned target planes, called drones, as early as the 1990s. Remote controlled drones normally do not stay within sight distance. To check the position of the drone, one has to use radars or other systems. The visibility of a drone at a radar is poor. For that reason, it was necessary to fit the drone with a transponder. 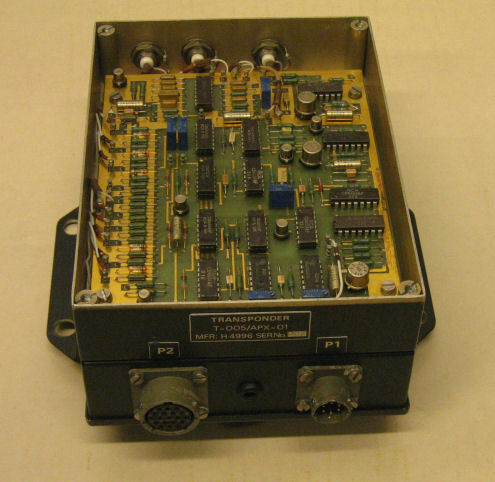 One solution for the Army was to use the VESTA transponder developed for the Royal Netherlands Navy. The transponder clarified the position of the drone. However, to improve control over the drone it was then necessary to send other telemetry signals to a ground station in addition to the VESTA information, in order for the drone operator to receive all the information that enables him/her to accurately control the drone. The Drone Information and Presentation System (DIPSY) developed in 1995 integrated the information for the operator: one display gives flight information such as altitude, heading, speed, pitch, roll, rpm of the motor, etc. The other display provides numerical information such as time, weather conditions, etc. The first operational trials with DIPSY-2 were successfully carried out mid-1997. That version used a differential GPS-receiver on-board of the drone for determining its location. On May 29, 1998, the last ordered DIPSY-2 systems were officially delivered to the Royal Netherlands Army and the Navy. The range of a drone fitted with DIPSY was about 40 kilometres. The use of the DIPSY-2 system increased the safety of the Anti-Aircraft Artillery Schietkamp (LuaSk) Botgat while the noise nuisance was reduced. The operators could operate more accurate and were able to realise flight patterns further away from buildings. The Navy drones were equipped with an FMCW radar also developed by TNO which allowed the drone to fly lower above the sea. That allowed the simulation of an incoming guided missile for practice exercises with the onboard defensive weapon systems. The DIPSY-2 systems for the Army contained a software-controlled Auto Hold function that automatically kept the drone at a set altitude. That replaced an electromechanical system. As a result, considerable weight savings (some 50%) could be achieved and the range of the drone increased.